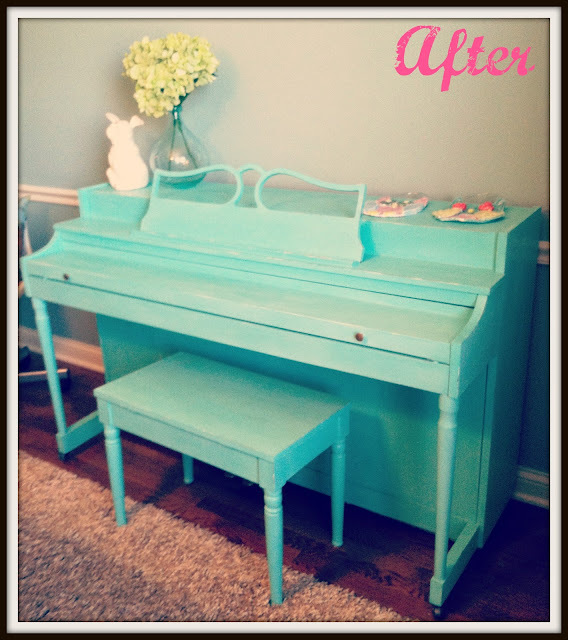 Vintage Restyled: Painted Piano Reveal! 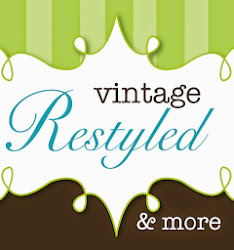 I am so excited to share this amazing makeover! 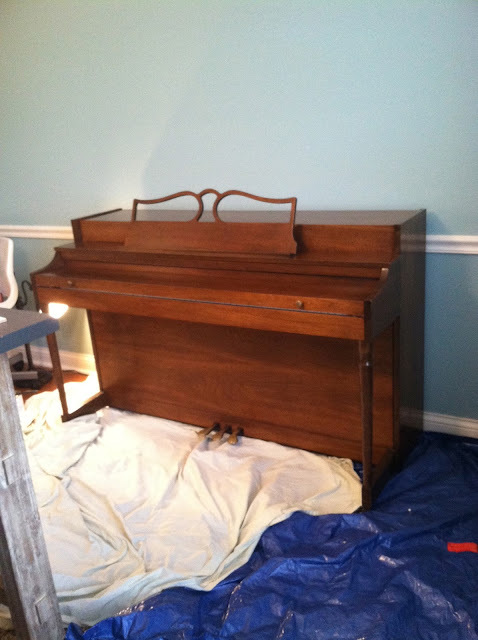 Suzanne started with a tired piano. 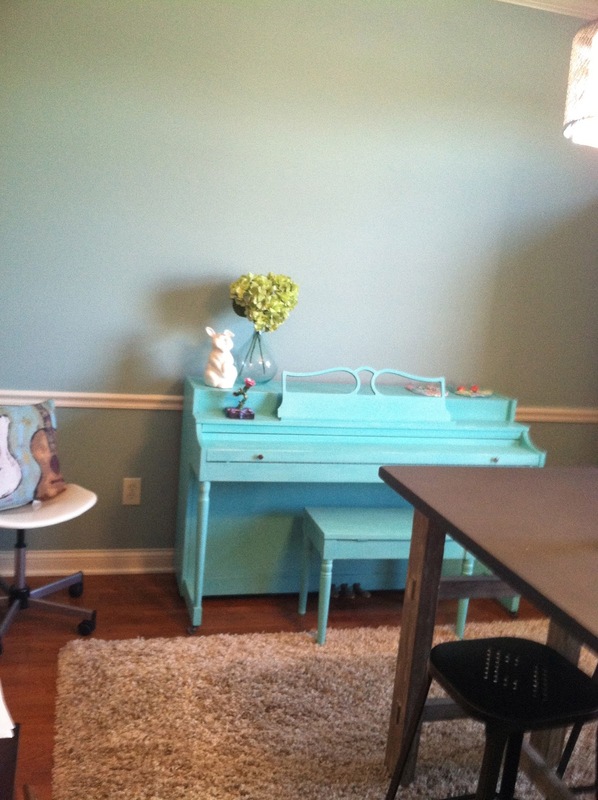 She repurposed her dining room into a den for her girls and herself. 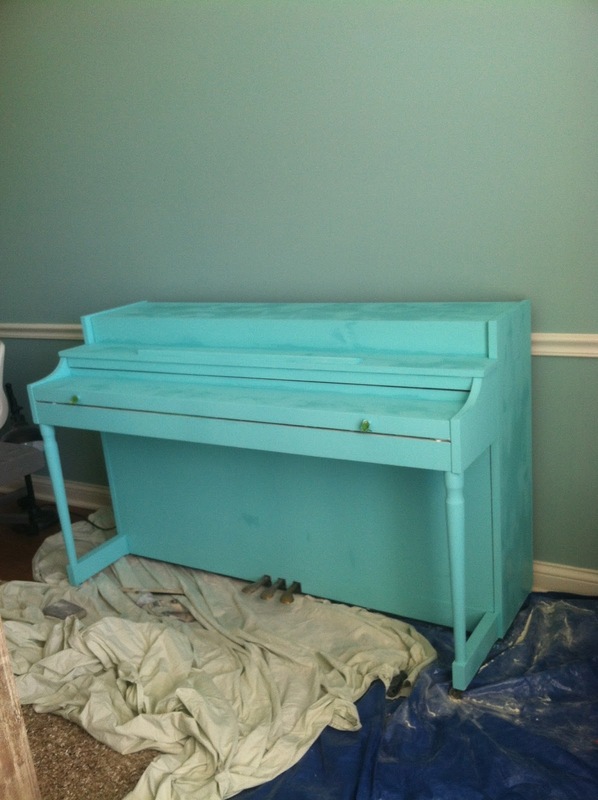 After painting the room, the piano became a bit of an eye sore. Nothing some paint can't cure. 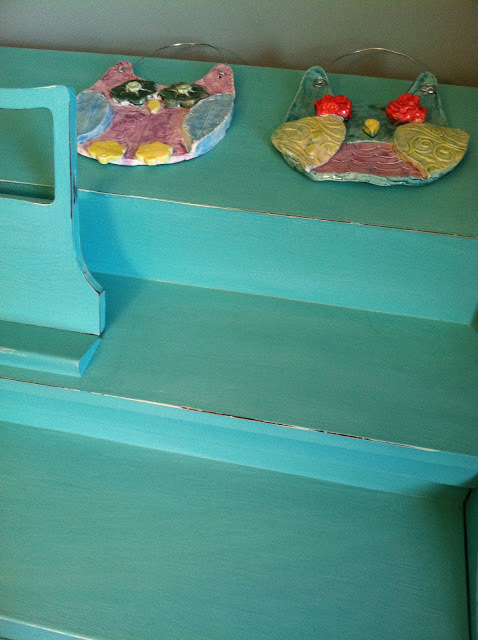 The white is Annie Sloan Chalk Paint in Old White and the aqua is CeCe Caldwell in Santa Fe. 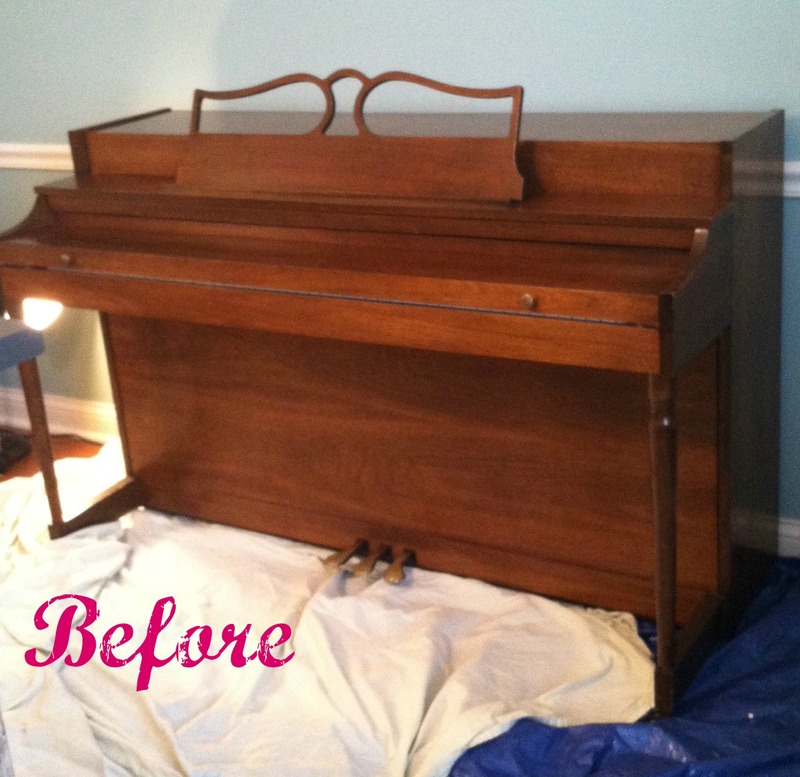 After two coats of paint, sanding and wax this tired piano has been transformed. Suzanne has made this eye sore into the focal point of the room! There is no reason that you need to live with furniture you do not LOVE. A big thanks to Suzanne for sharing her project and reminding us all of the power of paint! 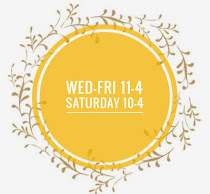 Have a great day and be sure to follow along on FB! So fun!! Looks so good in their room. Great job, I'm sure that wasn't easy. 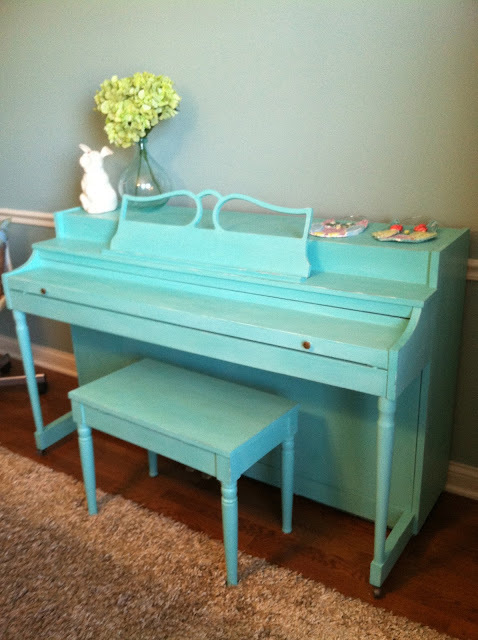 Nothing like a Turquoise Piano... VBG! 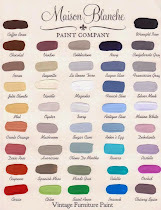 CeCe Santa Fe Turquoise goes with everything! 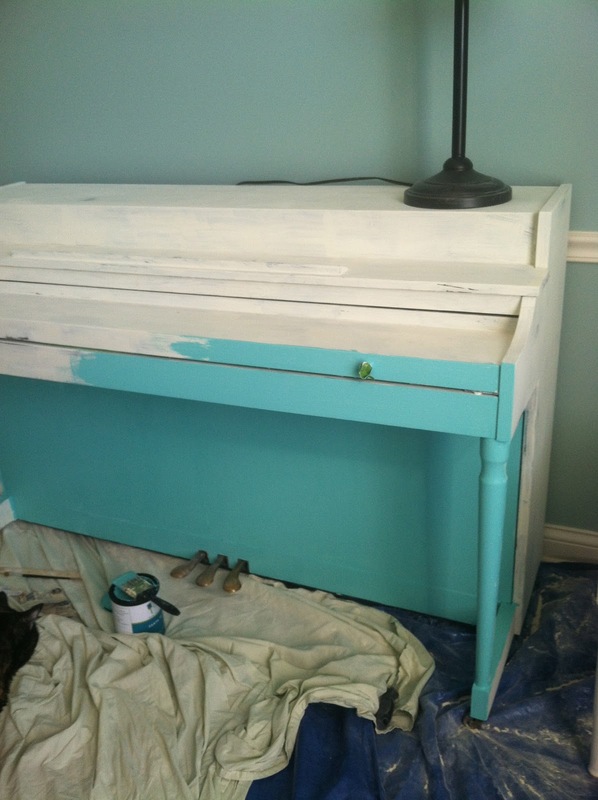 Love that you were brave enough to paint a piano!